Unequivocally, shaken baby syndrome is real. Unfortunately, controversy exists in the courtroom, in the media and online due to a few irresponsible individuals who continue to distort the medical literature and perpetuate implausible theories. There is little controversy in the medical community . There is no “new science” that disproves the existence of shaken baby syndrome or abusive head trauma. There is new science that further defines what we see with shaken baby syndrome and abusive head trauma, why we see it and how to better differentiate abusive injury from other processes. The findings of subdural hematoma, retinal hemorrhage and hypoxic–ischemic encephalopathy remain highly suggestive of shaken baby syndrome, particularly in the absence of evidence of an impact injury [2, 3, 4, 5]. Although this “triad” is not absolutely diagnostic of child abuse, it is highly suggestive of the diagnosis. In the absence of an obvious alternative explanation, the presence of any one, any combination of, or all three of these findings warrants a comprehensive, multidisciplinary medical and social workup and evaluation for child abuse. Of course, this does not obviate the need for a concomitant and equally comprehensive workup for diagnoses other than child abuse that might plausibly explain the child’s condition. Readers are referred to excellent essays by Dias  and Vinchon  regarding the validity of shaken baby syndrome as a diagnosis. Numerous authors have appropriately questioned the validity of the SBU study [9, 17, 18, 19, 20, 21, 22, 23, 24, 25]. Responses from the SBU authors to these challenges demonstrate the biases and lack of objectivity of the SBU author group [15, 26, 27, 28, 29, 30, 31, 32, 33, 34, 35]. It should be noted that the Swedish study in no way disproves the existence of shaken baby syndrome or abusive head trauma. Moreover, it fails to provide any coherent evidence base whatsoever for any alternative explanation for the combined findings of subdural hematoma, hypoxic–ischemic encephalopathy and retinal hemorrhage. All retinal hemorrhages are not the same. Innumerable bilateral, diffuse, multilayered retinal hemorrhages extending to the periphery are highly specific for child abuse [36, 37, 38, 39, 40]. Retinal hemorrhage has been reported with birth, accidental trauma, cardiopulmonary resuscitation, increased intracranial pressure, coagulapathy and many other disease processes; however, with these etiologies, retinal hemorrhage is overwhelmingly much less prominent and clearly different from that occurring with severe abusive trauma [36, 37, 38, 39, 40]. Although retinal hemorrhage is not reliably evaluated by imaging, the finding is often seen clinically in corroboration with what we do see on imaging. Biomedical simulations fail to account for complexity, variability and dynamicity of the infant head and neck. Such models also do not account for the variability and uncertainty of external insults. While biomechanical models do help us to understand response of the body to external insults, it is not surprising that different biomechanical simulations contradict one another given the implausibility of accurately modelling the human body and the assumptions that must be made with any given biomechanical model [45, 46, 47, 48, 49]. No reputable biomechanical studies disprove the existence of abusive head trauma or shaken baby syndrome. Shaken baby syndrome denialists conveniently exclude abusive head trauma cases with associated skeletal trauma [7, 8, 50]; however, abusive head trauma in the form of shaken baby syndrome is frequently accompanied by skeletal trauma [3, 51, 52, 53]. Others [54, 55, 56] have put forth rickets and vitamin D deficiency as an explanation for the skeletal findings of child abuse even though such findings are clearly not caused by rickets [57, 58, 59, 60, 61]. Such claims are pure fabrication. Needless to say, the diagnosis of rickets, though moot, would not explain fatal head injury. In 2009, the term “abusive head trauma” was adopted by the AAP for clarity . This was necessary because shaking trauma only accounts for part of the spectrum of abusive head trauma and the term “shaken baby syndrome” was often misapplied to infants who suffered other injuries instead of or in addition to shaking injury. Impact injury and neglect frequently accompany shaking injury. “Abusive head trauma” is a broader and more inclusive term than “shaken baby syndrome” and accounts for the myriad ways that an infant’s head can suffer at the hands of an abuser, not just limited to shaking. The introduction of this term in absolutely no way discounts the existence of shaken baby syndrome . Misstatements regarding adoption of the term “abusive head trauma” are illustrative of how denialists distort the truth [50, 63, 64, 65]. One role of medical societies is to educate and provide guidance for medical and non-medical fact-seekers on important aspects of medicine. Multidisciplinary reviews and consensus statements provide clarity on challenging subjects. In this issue of Pediatric Radiology, a multidisciplinary author group has provided a critical review of abusive head trauma in light of recent challenges by denialists . The review addresses common misconceptions and challenges put forth by the denialists. 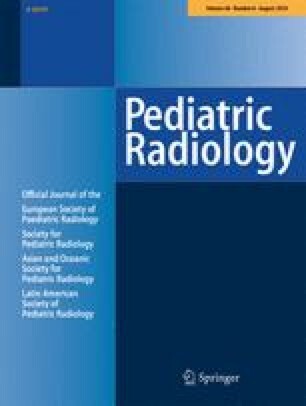 This review is supported by the American Academy of Pediatrics (AAP), the American Professional Society on the Abuse of Children (APSAC), the American Society of Pediatric Neuroradiology (ASPNR), the European Society of Neuroradiology (ESNR), the European Society of Paediatric Radiology (ESPR), the Japanese Pediatric Society (JPS), the Norwegian Pediatric Association (NPA), the Society for Pediatric Radiology (SPR) and the Swedish Paediatric Society. 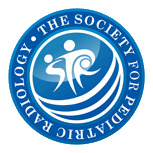 Review by the general membership of the SPR incurred negligible dissent. As with the recent paper by Narang et al. surveying pediatric health care providers, these endorsements provide substantial evidence of the overwhelming acceptance that shaken baby syndrome and abusive head trauma are very real and very common. There is much that we don’t know about abusive head trauma. Further study on the pathophysiology is needed. Why do some infants have fatal head injury accompanied by characteristic fractures, others have fatal head injury and no fractures and yet others have characteristic fractures and seemingly no head injury? What is the pathophysiology of hypoxemic–ischemic encephalopathy? What roles do injuries to the brainstem, cervical spinal cord, cranial nerves and upper spinal nerve roots play? What are the long-term consequences of non-fatal abusive head trauma? Does shaken baby syndrome cause chronic traumatic encephalopathy? How do we increase our certainty in diagnosis when child abuse is present and when it is not? How do we better differentiate abusive head trauma from its differential diagnoses? Research in child abuse is challenging. Future studies need to minimize real or perceived circular reasoning. Data need to be presented with assumptions and limitations explicitly stated and discussed. The diagnosis of abusive head trauma in children is not solely based on the findings of subdural hematoma, hypoxic–ischemic encephalopathy and retinal hemorrhage — it never has been. The diagnosis of abusive head trauma is based on a thorough medical, forensic and social investigation that includes the exclusion of alternative diagnoses, underlying disease and accidental trauma [17, 67, 68]. Quoting Saunders et al. , the “rigorous diagnostic approach” includes a “careful review of all available data, often including data identified and assessed by a dedicated multidisciplinary team, a constellation of imaging findings in the brain, bones, neck, spine and abdomen, funduscopic findings, interviews with caregivers, forensic data (including postmortem studies), the presence of other malicious injuries (e.g., burns, bite marks) and the exclusion of underlying diseases and accidental injury.” Responsible and reputable medical professionals are extremely careful in making the diagnosis of abusive head trauma and not misdiagnosing another condition as abusive head trauma. Appropriate differential diagnoses are always considered. Not infrequently, and probably more often than not, a diagnosis of abusive head trauma is excluded or remains uncertain due to lack of corroborative findings. Valid cases of misdiagnosis of abusive head trauma with reputable proof of another diagnosis are extremely rare. As a society, our focus needs to shift toward better prevention, as well. Abusive head trauma is a leading cause of preventable mortality and morbidity in young children . Previously normal children are rendered dead or permanently disabled in an instant. This need not happen. If we could simply prevent child abuse (infinitely more easily said than done), this debate would not be necessary. On that, we can agree. The author thanks the late Thomas L. Slovis, MD, for his helpful and inspiring review of an intermediate draft of this editorial. Tom’s passion for the care and protection of the abused child was exemplary, as was his willingness to confront those who irresponsibly threaten the health and safety of these vulnerable patients and their families.